My passport has stamps from 23 countries in it; I even had to have additional pages glued in to make room for more stamps. Most of the time I was traveling with a big roller duffle. 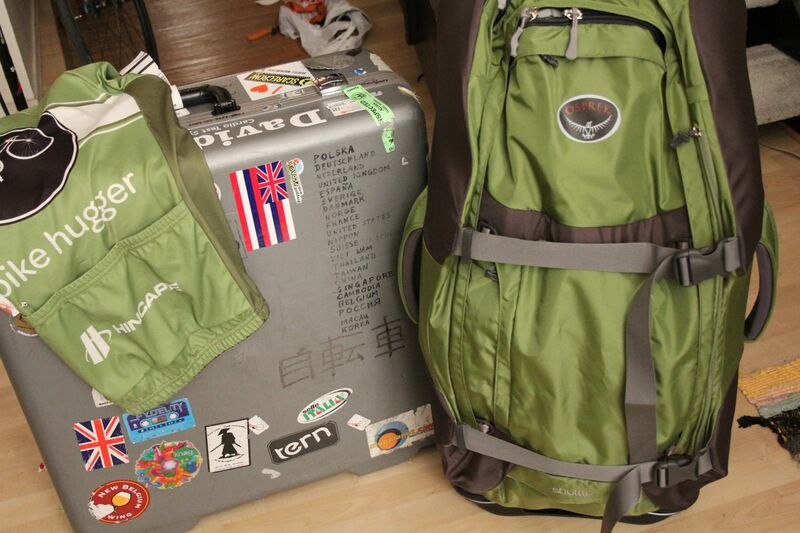 Well, just as my passport is set to expire next month, my roller duffle probably needs to be retired as well. After some research, I went for the Osprey Shuttle 32. 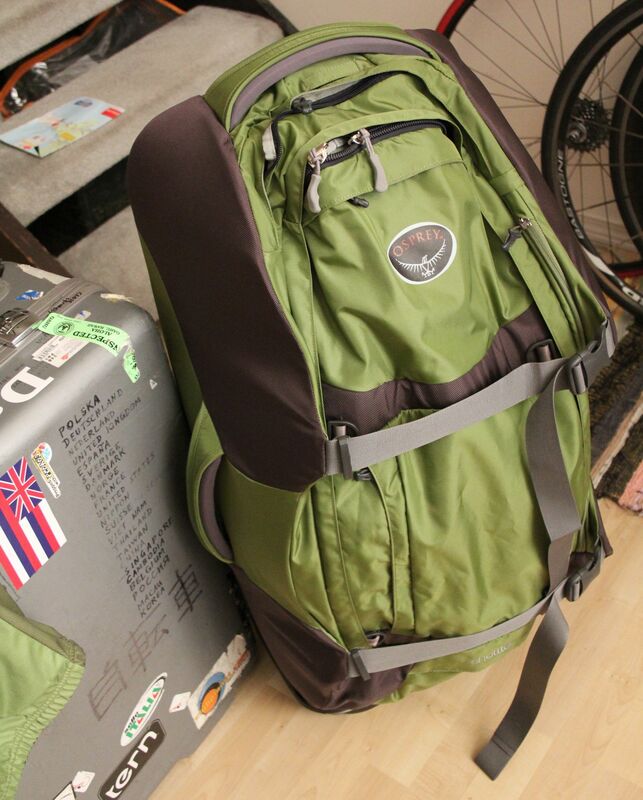 I feel that roller duffles are ideal for my travel for some specifica reasons. First, large capacity. I have to have enough room for wildly different attire needs. Clothes for casual, clothes for cold, clothes for the symphony, clothes for riding. My life is long dreary spans confined to the Seattle gloom, punctuated with escapes to ridiculous destinations. This isn’t flying down for a business lunch; I can’t remember ever not having checked baggage. 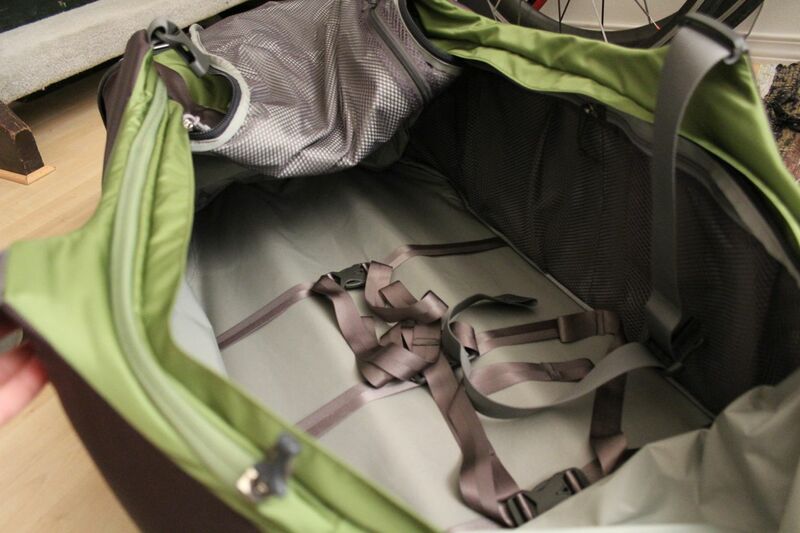 Second, soft baggage with good zippers rarely pop all the way open like a hardcase can. 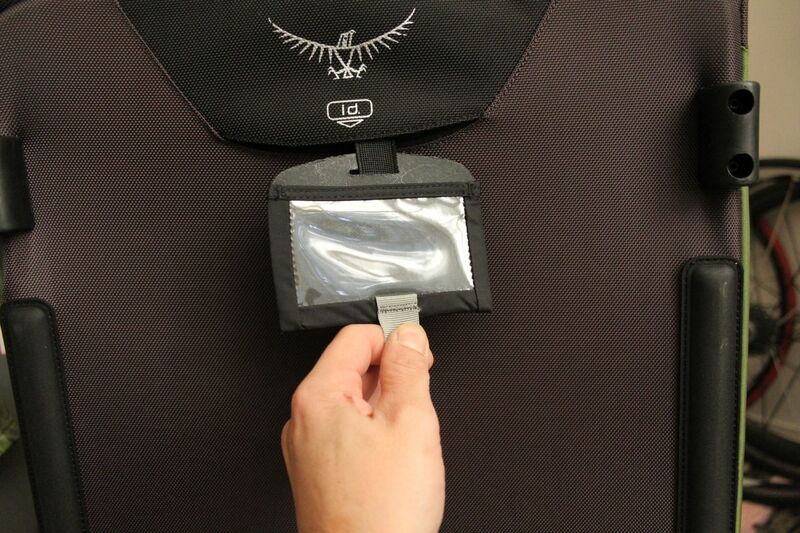 And the compression straps provide additional security. I’ve had hard suitcases before, and they just get pounded and dented within a few trips. Sure, a roller duffle isn’t the best choice if you’re an 80yr old gran trying to smuggle a load of snow globes home to the lil nippers, but you can usually use clothes to pad the more fragile items within the roller duffle. 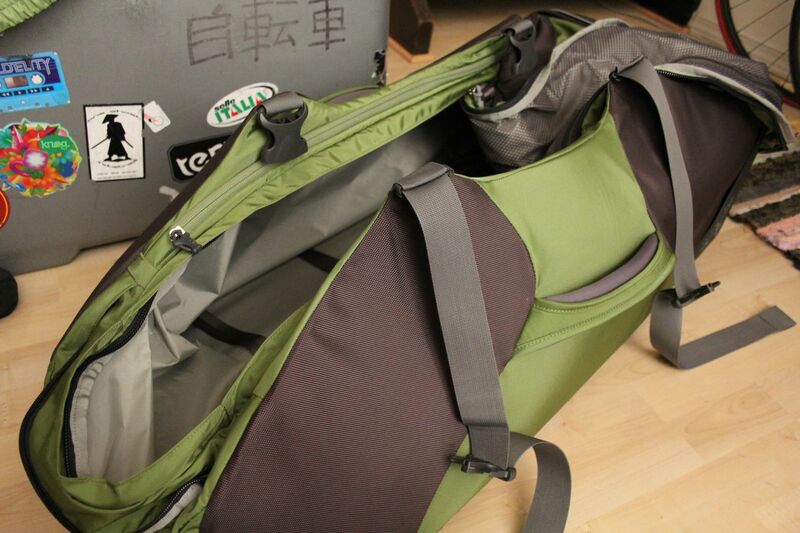 A roller duffle also maneuvers on the wheels better than a lot of more squat wheeled bags/cases. In addition to the reasons above, I chose the Osprey Shuttle 32 because of its quality of construction, sub-compartment size and placement, and large wheel size. The Shuttle 32 is built from heavy duty fabric with a sturdy internal frame. It has a number of external pockets to keep small items to which you might need immediate access, and zippered mesh pockets along the interior side and tongue that I use to store plug adapters, over-the-counter medicines, sewing kit, chamois cream packets, condoms, safety pins…standard adventurer kit. 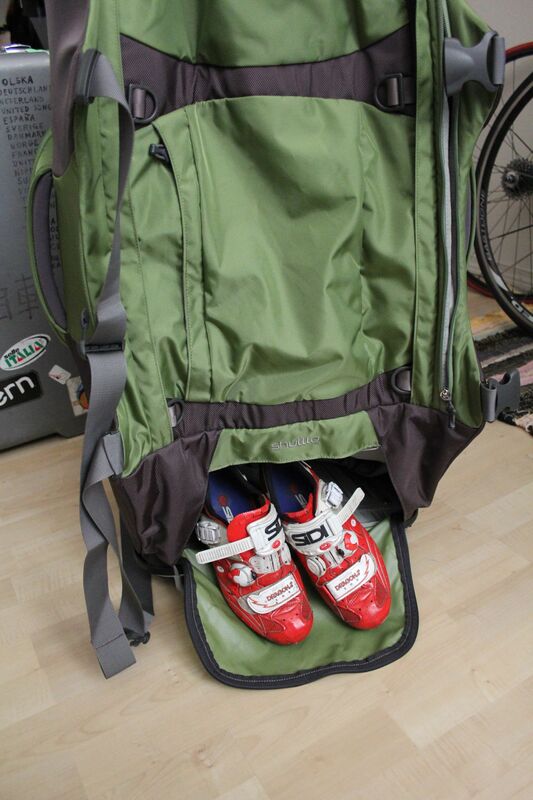 An improvement over my previous bag is the external access shoe storage. That way, dirty cycling shoes don’t need to cross paths with clothes. Lastly, the Shuttle 32 uses larger wheels than most other bags, which allows the bag to roll over rough surfaces much better. Large wheels can be fragile, and the wheels on my old duffle had the urethane tread chunk off. But the Osprey wheels have more of an interlocked hub, like inline skate race wheels. Now I need to go to the passport agency. 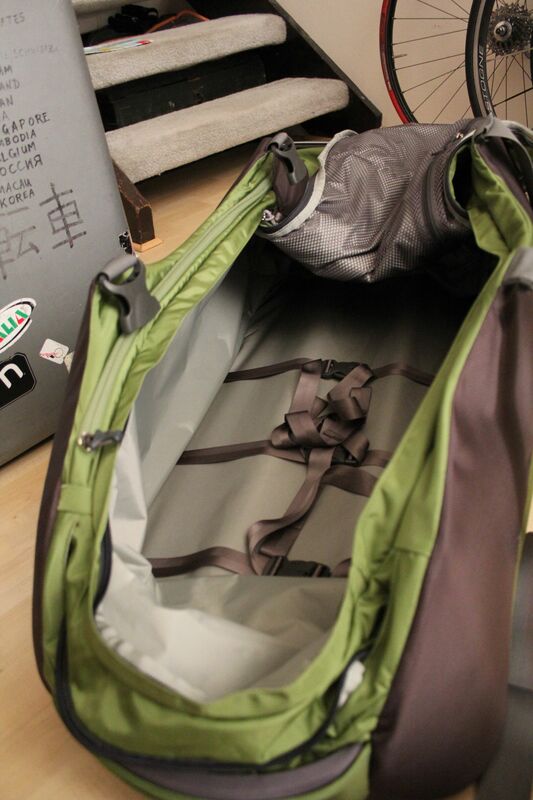 The Shuttle 32 has a 110-L capacity, weighs 4kg empty, and measures 82x41x31cm (32x16x12”). Retails for about $290 on Amazon.